Nebraska Wesleyan University received a A.
U.S. News & World Report's ranking of 111 out of 236 of National Liberal Arts Colleges High School Counselor Rankings was a major contributor to this grade. Nebraska Wesleyan University in Lincoln provides a liberal arts education for about 2,100 students. Students can relax with a round of frisbee golf or take in a concert at the Vance D. Rogers Center for the Fine Arts, complete with a Bosendorfer Imperial Grand piano, the largest of its kind in Nebraska. Describe the type of student who should not attend Nebraska Wesleyan University and explain why. A student who's looking just to have fun in college, and doesn't want to put any effort into studying. Describe the type of student who should attend Nebraska Wesleyan University. Why? A student who's willing to put in a lot of work to become successful at this school. This school is a very good academic school and they're known for high standards in being successful. What is a typical Nebraska Wesleyan University student like? Describe the type of person that should attend Nebraska Wesleyan University. What are the top 3 reasons someone should attend Nebraska Wesleyan University? What was a typical Nebraska Wesleyan University student like in high school? Describe the type of person that should attend Nebraska Wesleyan University. What are the top 3 things that students do for fun at Nebraska Wesleyan University? The top three things that students at Nebraska Wesleyan University can do for fun are: playing frisbee golf, working out in the Weary Center, and getting together in study groups in the library. Campus housing is available for undergraduates. Housing deposit : $95.00. Housing deposit due : Jul 1. Housing deposit is not refunded if student does not enroll.. Freshman allowed to have car. No pets. 23% of female students live in sororities. The average student pays $23,514 for tuition, fees, and other expenses, after grants and scholarships. Total stated tuition is $26,742, in-state and on-campus, before financial aid. Learn more about financial aid at http://www.nebrwesleyan.edu/scholarships-and-financial-aid. Estimate the net price for you at http://npc.collegeboard.org/student/app/nebrwesleyan. The typical (median) early career salary of Nebraska Wesleyan University graduates is $35,900, according to Payscale. Nebraska Wesleyan University participates in the NCAA Division III for college athletics. 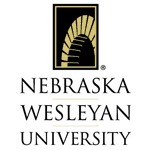 Want more info about Nebraska Wesleyan University? Get free advice from education experts and Noodle community members.